You know, gluten-free cooking is challenging at times. The dough is just never quite the same as wheat based breads, no matter which mixture of flour-like substances I use. When you add in that I really try to avoid junk flour substitutes (like tapioca starch) that have no nutritional value, I sometimes end up with cooking that is less than appealing. Today was no exception. 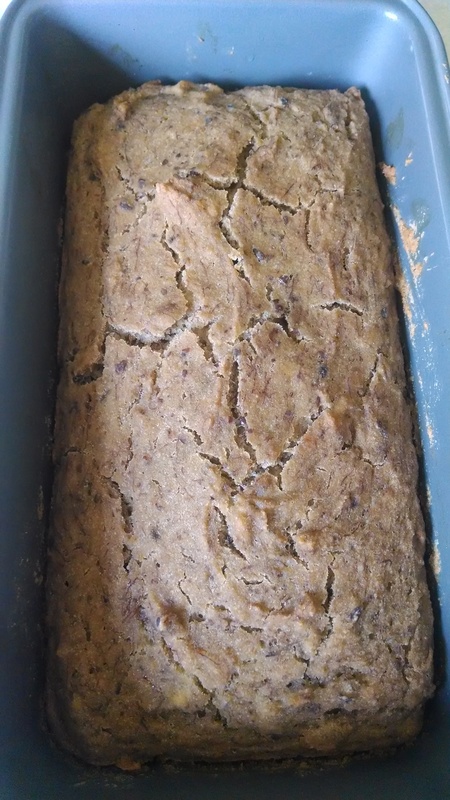 I have a ton of bananas in my freezer, so I thought it was time to try out some solar cooker banana bread making. But, as usual, I substituted out most of the ingredients in the recipe. Instead of eggs, I used flax. Instead of oil, I used applesauce. Rice flour was my flour of choice, and I used only about half as much sugar as they suggested. Now, usually banana bread works out for me, but not today. It looked like bread. It cut like bread. It even smelled like bread. However, it tasted like bland mush. My kids ate it though, which says something. I won’t bother posting the recipe, as I can’t imagine anyone who would want to recreate it. However, I did learn that solar cooking bread is rather easy. I used two little bread loaf pans and just covered them with a black cotton dishtowel. They took about an hour and a half to cook, which isn’t much longer then in a conventional oven.